Work in two different company files at the same time. Track 100,000+ customers, vendors and inventory items. Control what each employee can see and do for over 115 areas. Enterprise helps protect you from misuse and mistakes. Create custom reports in other applications by connecting directly to your Enterprise database. Know the quantity and value of inventory in multiple locations. If you have any questions about QuickBooks Enterprise, please call 1-866-900-4236 or click on the button below to fill out our contact form. 1. Some functionality may be limited when running two instances. See www.qbes.com/sysreq for more information. 2. Enterprise Solutions allows you to add up to one million names (e.g. customers, vendors, employees) and up to one million items (e.g. inventory, non-inventory, and service items). Some performance degradation is likely as your lists approach these size thresholds. 3. ODBC-compliant applications sold separately. 4. Additional fees apply for the Advanced Inventory add-on subscription. Requires QuickBooks Enterprise Solutions 11.0 with an active Full Service Plan and an Internet connection. 5. Requires purchase of additional licenses. 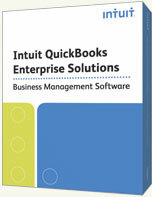 All users must be on the same-year version of QuickBooks to access the same company file.